The Preschool Academy is for ambulatory children 3 to 5 years of age, independently toilet trained. We welcome children who live in or beyond Huntington Beach. Transportation is the responsibility of the parents/guardians. Our registration process includes 3 steps. All documents must be completed in order for your child to attend the Preschool Academy. Packets are available for pick-up. Multiple language options are available below in most Licensing forms. Some documents will need to be completed in person due to required carbon copy. 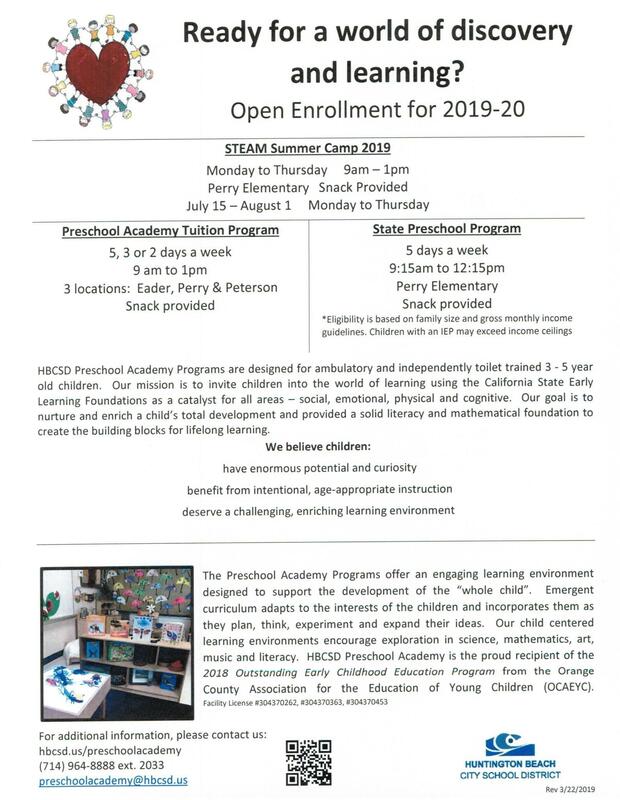 Call the office at (714) 964-8888 ext 2033 with questions and to set up an appointment to return your registration packet.